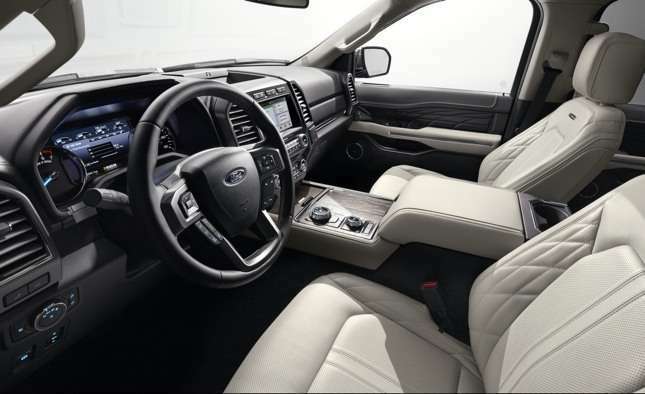 The Ford Expedition was first introduced over two decades ago as a replacement for the shorter two-door Bronco. 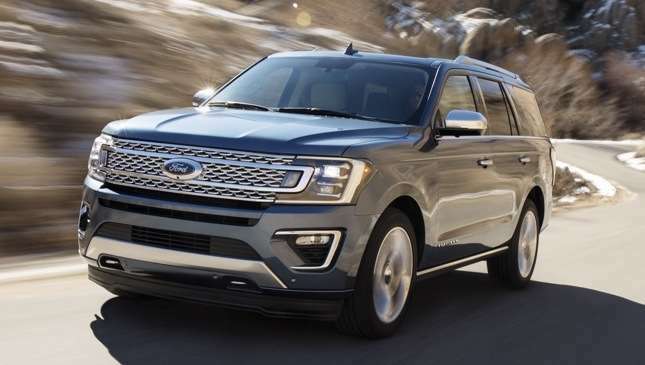 Over the years, Ford’s largest SUV has stuck to the same formula while gaining some notable improvements along the way, like an independent rear suspension, connectivity technology, and more recently an EcoBoost engine. For the 2018 model year, the Dearborn-based carmaker will go even further and bring its full-size SUV into the next decade. Before we talk about its all-new styling, the biggest news here is the adoption of an all-aluminum alloy body construction like the F-150. It rides on a revised high-strength steel chassis that retains the four-wheel independent suspension. 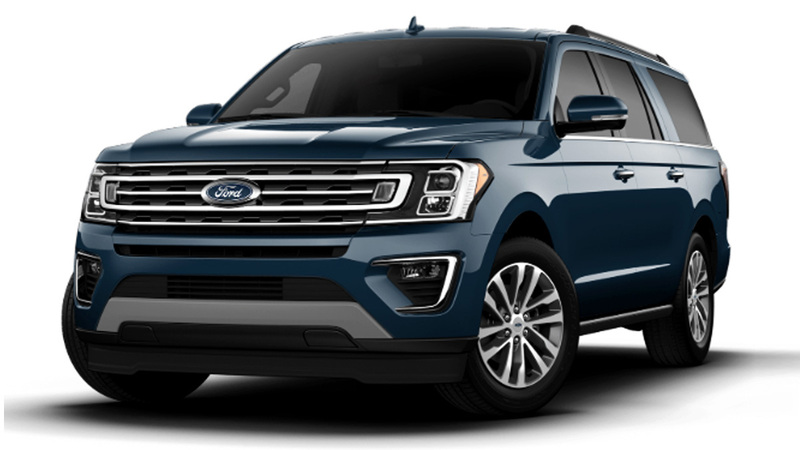 The shift to lighter materials has allowed Ford to trim the large SUV’s curb weight by up to 136kg despite its increased dimensions. 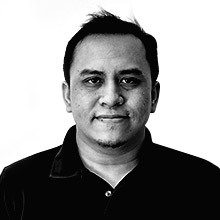 Its designers went for a cleaner, more refined design, erasing any traces of its late-‘90s predecessor. Up front it ditches the bold truck face in favor of a more streamlined front that features a more integrated grille and headlight design. The sides have been freed of plastic cladding and wheel arch trims for a neater look, and a crisp character line runs along the sides giving it a touch of class. The rear receives larger taillights and a more sculpted tailgate reminiscent of the Explorer’s. Traditional Ford SUV styling cues like the broad body-colored C-pillars and blacked-out D-pillars are retained. 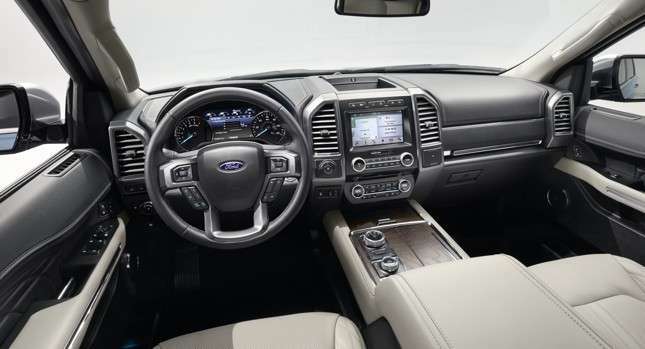 Inside it gets a more modern-looking F-150-style dashboard, and a rotary gearshift dial frees up console space. 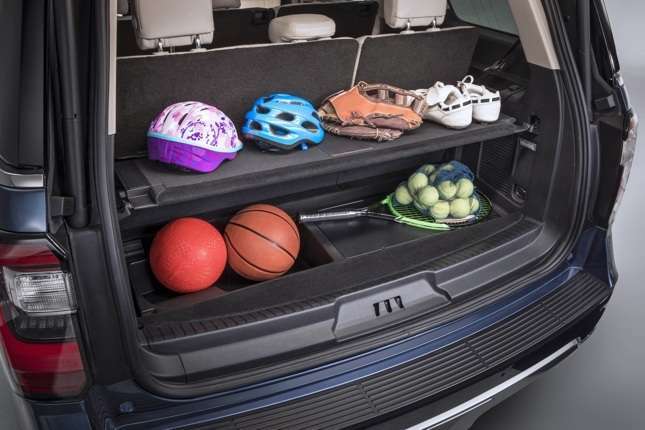 Access to the third row has been made easier thanks to the tip-and-slide feature for the second row seats. 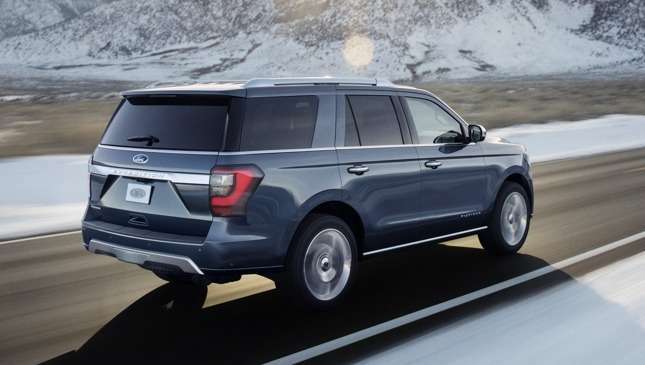 The new Expedition features a lengthy list of tech features including SYNC 3, SYNC Connect, wireless charging and a WiFi hotspot. Its blind spot information system, lane-keeping aid, and adaptive cruise control keep driving safer, while its enhanced active park assist and available 360-degree camera make parking this big SUV easier. Under the hood is Ford’s venerable 3.5-liter EcoBoost V6, now with standard auto start-stop, and mated to an all-new class-leading 10-speed automatic transmission. The carmaker hasn’t disclosed any power figures but says it will get a bump in power. In North America, it will continue to be offered with 2WD and Intelligent 4WD with Terrain Management System. 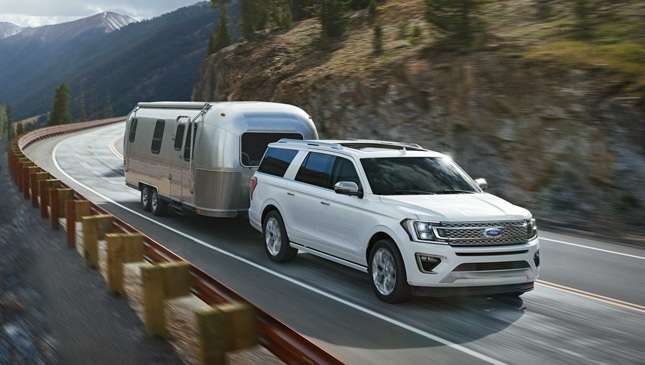 The Expedition will be offered in four trim levels in the US: XLT, Limited, Platinum and the fleet exclusive XL—all can be had in standard wheelbase or extended wheelbase form now dubbed “Expedition Max”. 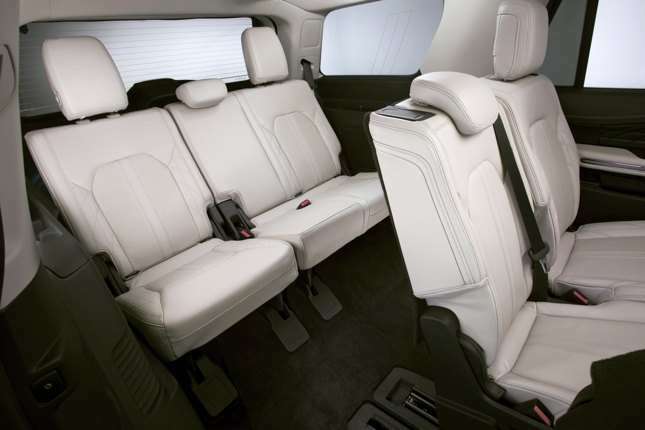 The all-new 2018 Expedition will reach US showrooms in late 2017. 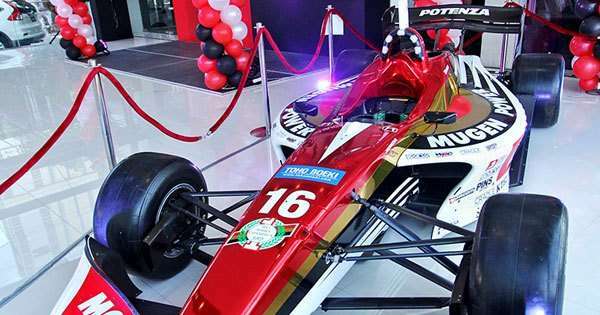 It’s still too early to tell when we’ll get it here, but hopefully Ford Philippines won’t make us wait too long.